Note: I joined Grove Collaborative’s affiliate program about a year ago. 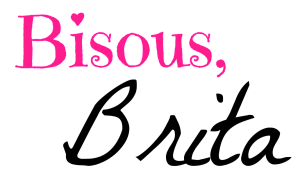 In addition to earning the occasional commission (this post contains affiliate links), I also receive occasional discounted or free products to review. However, I have been a Grove customer for over two years! I spend quite a bit of my own money on Grove products. This Grove collaborative review is 100% my own, unbiased opinion. Who else is ready to jump into spring cleaning? Yeah, I can understand that. I am an average homemaker at best, but my heart is in the right place! 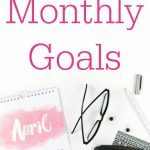 While I love the idea of living in a clean and organized home, I’m not that interested in doing the work. Keeping my home stocked with my favorite cleaning essentials helps me stay somewhat motivated to clean. Hand-washing dishes is a lot more fun while singing along to Taylor Swift playing on Alexa and breathing in the delightful scent of Mrs. Meyer’s dish soap. 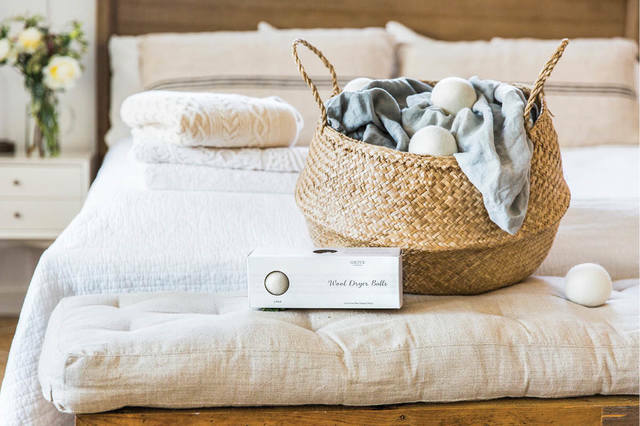 Plus Grove Collaborative sells the Grove Collection, their own line of household products! Grove Collaborative fits my lifestyle… But is this online store for you? In this Grove Collaborative review, I will share everything I love about the company, plus a few areas where they could improve. I placed my first order with Grove Collaborative on June 1, 2016. I spent about $20 on cleaning products, plus I received free products valued around $20. Grove Collaborative always offers new customers a free gift with their first order of $20 or more, but the exact deal changes every month. In the last 2 1/2 years, I’ve spent a little over $400 at Grove Collaborative. While I mostly just order household products, I’ve also splurged on multiple candles. I want to start my Grove Collaborative review with complete transparency. Yes, I have a financial incentive for you to place your first order with Grove. However, I put my money where my mouth is. Grove has received way more of my money than I have ever received in commissions or in free products. That’s because I’m a genuine customer of Grove, and I would keep shopping there even if they ended their influencer program. 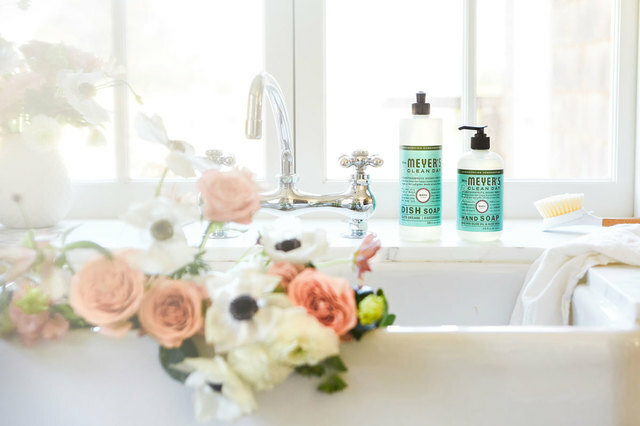 Grove Collaborative is a personalized auto-shipment service that delivers all-natural home, beauty, and personal care products directly to your door! Their aim is to make living a healthy lifestyle easy and accessible for all customers. Every product they sell is backed by the Grove standard. What is the Grove Standard? Simply put, Grove only sells products that are healthy, effective, eco-friendly, and affordable. Grove is a Certified B Corporation, and they look for the same values in other companies. When you place your first order with Grove Collaborative, you automatically join their auto-replenishment service. This means Grove suggests new products for you each month by putting them in your shopping cart. A few days before your scheduled shipment, Grove sends you a reminder email to check over your scheduled order. You can edit your shopping cart, change the shipping date, or skip the month completely. Not all customers like this auto-shipment program. If you’ve ever seen complaints of Grove being a scam, it’s probably from someone who didn’t pay attention to how the auto-shipment program works. I’ve only ever had two issues with my shipments, which I’ll explain below. And those minor problems had nothing to do with editing scheduled shipments. If you don’t like scheduled shipments, you can switch to Grove’s “Ship Now” program. This is what I did eventually. Although looking at my order history, I still place an order every 1-2 months anyway! For your very first order with Grove Collaborative, you need to spend at least $20. However, this also gets you a pretty awesome free gift, so spending $20 on great products is a small price to pay! Plus your first order includes a trial VIP membership, so shipping is FREE. After your first Grove order, order minimums and shipping costs vary. If you’re a long-time Amazon customer, order minimums might seem odd. However, order minimums are really shipping minimums designed to reduce the environmental impact of shipping. 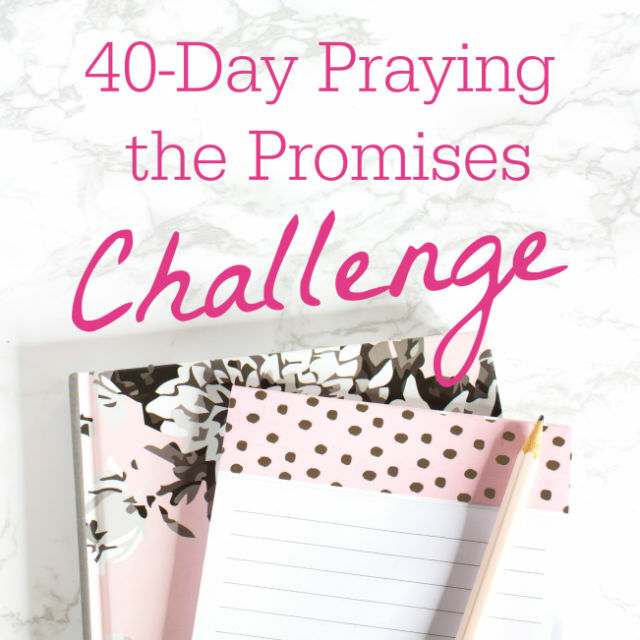 Trust me, it is far too easy to come up with $10-15 worth of products that you want in every order! VIP members always receive free shipping. Otherwise, any Grove order costs a flat $2.99 for shipping. Based on shipping costs alone, it’s worth signing up as a VIP if you plan on placing at least 7 orders in a 12-month period. 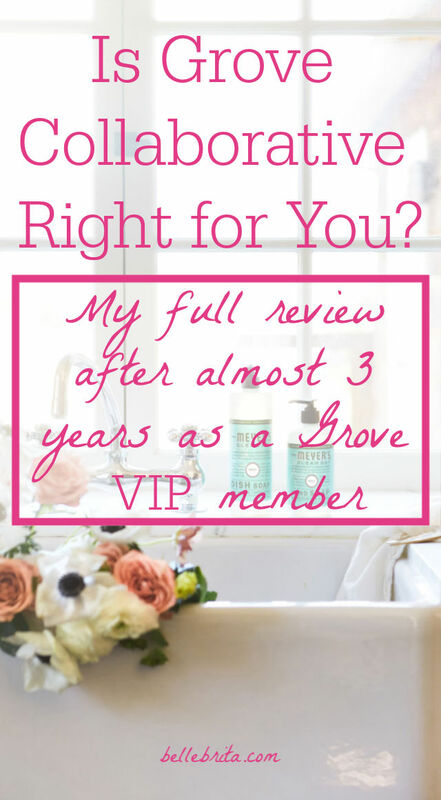 I love being part of the Grove Collaborative VIP program. It’s only $19.99 per year! Free shipping isn’t the only perk. As mentioned above, the shipping minimum for “Ship Now” customers is only $15 compared to $30. VIP members also receive four free gifts each year. These are full-size products, not samples. My favorite gifts so far have been Grove’s lip balm and Grove’s hand cream. 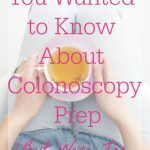 Finally, VIP members receive early access to any new products. Popular scents sell out fast, so early access makes it more likely you can buy your favorite scent of dish soap, surface cleaner, body wash, and more! I’ve been a member of Amazon Prime for more than five years, and I absolutely LOVE it. 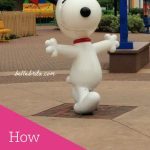 So why pay for Amazon Prime AND the Grove Collaborative VIP Program? Can’t I just order all my favorite products from Amazon? Some of my favorite products, like the glass hand soap dispensers and hand soap refills, are part of the Grove Collection. These are sold exclusively through Grove Collaborative. Other products are available on Amazon. Over the last year, I’ve randomly price-checked a few products on both Grove and Amazon. Sometimes Grove has the better price; sometimes Amazon has the better price. That said, sometimes the Amazon versions are only available in bundles. That’s great if you want a 3-pack of hand soap… Not so great if you just want to buy one hand soap, or you want to buy the same products in different scents. Even if Amazon does offer a better price on something, you’re still in luck. If you’re a VIP member with Grove, they will price match! Just add the product to your cart, and send Grove the link to where you see it for less at [email protected] They will update the price before your next shipment! Obviously Amazon Prime offers more than just free 2-day shipping on almost everything… I’m particularly fond of my free Kindle book every month, plus an extensive music library featuring Taylor Swift. But they don’t quite have what I want to keep my house clean, so I’m also a VIP member with Grove. Since Dan and I don’t have any kids or pets, and I primarily use DERMA E skincare, I mostly buy household products from Grove. 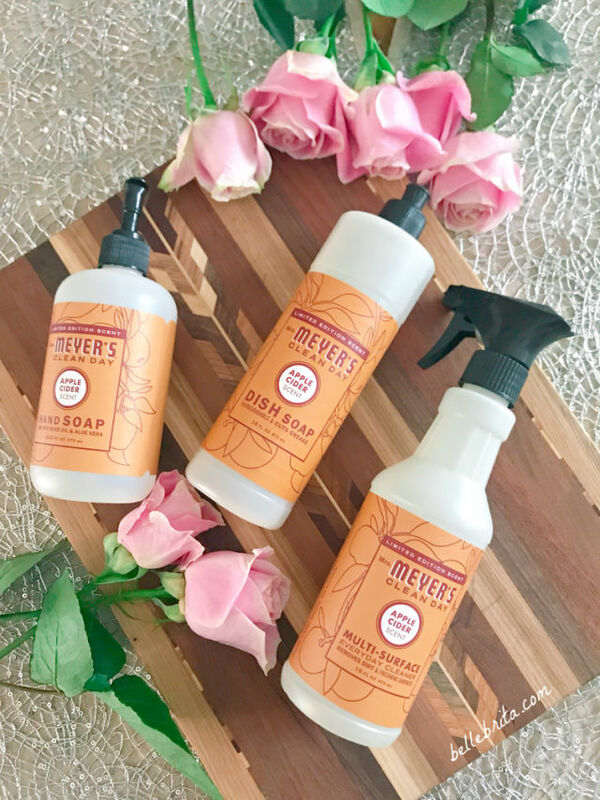 How natural are Mrs. Meyer’s Clean Day products? Eh, I guess that depends on your definition of “natural.” I already wrote about how I’m a half-assed hippie. Mrs. Meyer’s products are natural enough for me. Environmental Working Group (EWG) scores the overall Mrs. Meyer’s brand as 3-4, which they call “moderate hazard.” Their primary concern is the use of synthetic fragrances. Mrs. Meyer’s says their fragrances are a “mixture of natural, high-quality essential oils and safe synthetic fragrance ingredients.” However, the exact fragrance ingredients are proprietary, meaning consumers can’t double-check their safety. I’m fine with that level of natural. Plus I love the ingredient transparency on the Mrs. Meyer’s website. I have sensitive skin, and I’ve never had any issues with either Mrs. Meyer’s hand soap or Mrs. Meyer’s hand lotion. 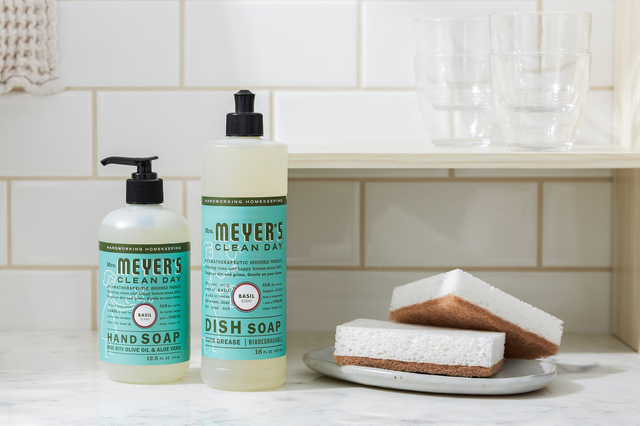 Along with the hand soap and the hand lotion, my other favorite Mrs. Meyer’s products are the dish soap and the multi-surface cleaner. I hand-wash a great deal of my dishes, and I’ve never had any issues using Mrs. Meyer’s dish soap. That said, I’m pretty good about soaking dishes and scrubbing food while it’s still soft! I enjoy using seasonal scents, but my overall favorite is lavender. 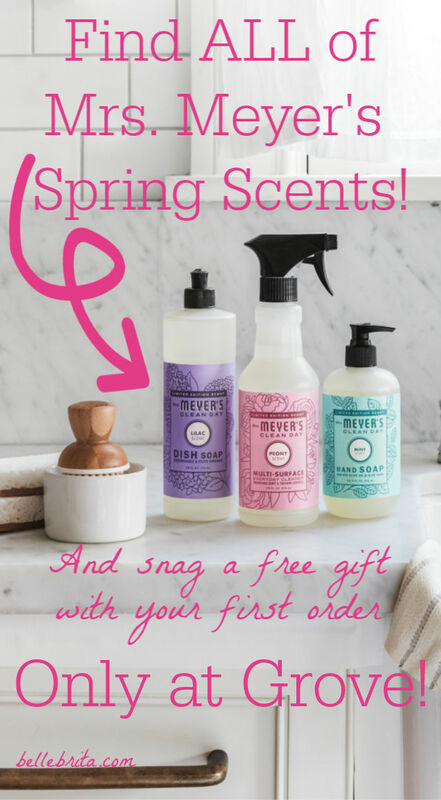 Want to try Mrs. Meyer’s new spring scents for yourself? 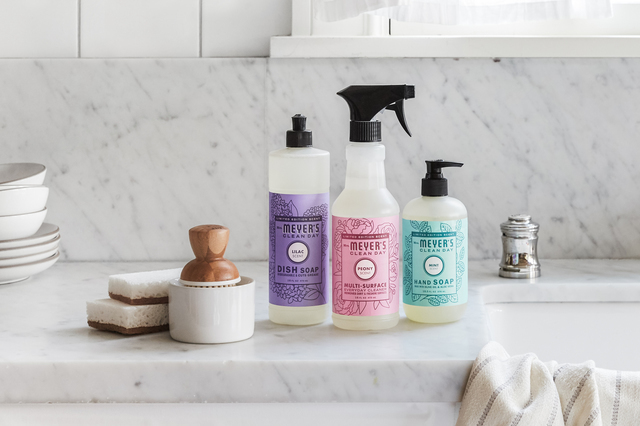 Place your first order with Grove and get a free gift, including some Mrs. Meyer’s products! I pretty much only buy multi-surface sprays from Method. While I generally prefer these from Mrs. Meyer’s, the Mrs. Meyer’s ones are only for dirt, not to disinfect. Method has disinfecting versions, plus a specific one for the bathroom. While I prefer not to disinfect my surfaces too often, I do periodically disinfect my kitchen counters and all my bathroom surfaces. EWG scores my preferred Method cleaners with an F… But that’s primarily because Method’s ingredients aren’t specific enough or something. EWG gives both of these products an A rating! Even with an older dishwasher (which we eventually replaced), my dishes almost always came out perfectly. Occasionally a dish would need a little extra scrubbing, but that was usually after someone *coughDancough* didn’t put water in it to soak after cooking something messy, like mac & cheese. If you want dishwasher detergent packs that will perfectly clean nasty dishes with caked-on food, then this isn’t for you. If you’re a reasonable cleaner who rinses your dishes a bit and cleans off anything really gross, then Seventh Generation dishwasher detergent packs are perfect. I honestly don’t have a lot to say about toilet bowl cleaners? If you clean your toilet regularly enough, then it just requires a little bit of scrubbing to clean. So it’s hard to say if one toilet cleaner is more or less effective than another. I think my toilets all get reasonably clean with Seventh Generation. At least none of my guests have complained! Like I mentioned before, Grove also sells their own line of products called Grove Collection. As part of the Grove Standard, they follow these guidelines with everything in Grove Collection. Sink Caddy: This ingenious contraption holds a sponge, dish brush, and dish cloth. I keep mine by my kitchen sink on the Classic Stoneware Tray. 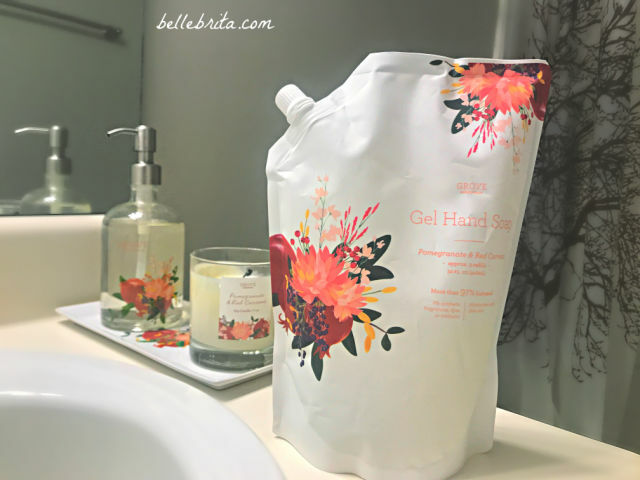 Pomegranate Guest Bathroom Set: I paid full-price for this several months ago, and now it’s on sale! The set comes with a decorative glass hand soap dispenser, a hand soap refill, a decorative stoneware tray, and a candle. I recently bought another candle and another hand soap refill in this limited edition scent! That’s how much I like it! Wool Dryer Balls: I use these instead of fabric softener or dryer sheets (which I never really liked anyway). They shorten my dryer cycles, plus I add a bit of lavender essential oil to them to give my laundry just the lightest of fragrance. Honestly, if Grove Collection keeps coming up with more amazing products, I might stop buying the other brands they carry! I already prefer Grove Collection hand soap refills to Mrs. Meyer’s hand soap refills. Who knows what I’ll switch next! Are Grove Collaborative Products Natural? I tried to answer this question for each brand above. I mean, how do you define natural? Also, how averse to unnatural chemicals are you? Think about it. I’m allergic to a great deal of plants and pollen, all of which are 100% natural. So I take allergy medication–chemicals–so that I don’t spend most of my life miserable. I have sensitive skin. The one product that has consistently worked for me for my entire life is petroleum jelly. But I know plenty of people have concerns about any products derived from petroleum. Everything I’ve purchased from Grove has been natural enough for my household. Whether or not they’re natural enough is up to you. I promised full transparency in this Grove Collaborative review. Overall, I do love the company, but they still have room for improvement. These two issues go together. For the most part, I don’t mind filling up my cart with $10-15 worth of items. It’s almost too easy! However, it’s been a problem twice when an item wasn’t in stock. The first time, I pre-ordered a limited edition candle. When it was time to put together my monthly shipment, the cost of the candle didn’t apply to my shipping minimum. I didn’t need very much that month, so I was quite annoyed that the $10+ I’d already spent on my candle wouldn’t help me meet my shipping minimum. I reached out to my personal Grove representative. Luckily she fixed the issue for me. Still, it’s annoying that pre-ordered items don’t automatically count towards a shipping minimum. My next issue didn’t really get resolved in a manner I wanted. With my VIP status, I qualified for a free gift… Just days after I had placed a large-ish order. I didn’t need anything else for quite some time, so I changed the shipment date of my monthly delivery. And then my free gift was temporarily out-of-stock. So once again, I changed the shipment date of my delivery, waiting until my free gift would be restocked. A week or so before my scheduled shipment, I received notification that the free gift product was restocked. Perfect! Except by the time my order shipped, the free gift was out-of-stock again. The only way for me to get my free gift was to place another order, with another shipping minimum, once the free gift was restocked. Which I did a few weeks later. At this point, it had taken me so long to get my summer free gift that I had already earned a fall free gift. At least that made me feel better about placing two Grove orders in one month. In that case, I tried to explain that I was frustrated by trying to time an order with a free gift. Grove’s solution was to take me off recurring shipments. Which… wasn’t the point. I get that sometimes prices go up. Inflation and all that. But these are the prices I’ve paid for Seventh Generation dishwasher packs (45 pack). At the current price, Amazon sells my dishwasher packs for cheaper, although it is a bundled 2-pack. Yes, Grove offers price-matching, but who really has time to check prices every single time they need something new? While I do trust that I’m paying a reasonable price when I shop through Grove, I don’t know if I’m paying the best price. Also, the percentage off numbers can be a little confusing, especially with bundles. I mentioned how much I love the Pomegranate Guest Bathroom Set, right? It’s currently priced at $20.99, which Grove says is 49% off the original price of $41.80. But when I paid full-price for the set in December, I paid $34.99. $41.80 is the sum of all four included products at full price. Except all of them are on sale right now, individually. When I add up the sale prices, I get $25.50. So buying the guest bathroom set still saves money, but the sale price is a little misleading. (It’s still one of my absolute favorite Grove purchases, and yes, I’m tempted to just buy the entire guest bathroom set again). I feel like I’m being really nitpicky about Grove’s prices, but I did promise full transparency! Honestly, I don’t mind if I end up paying just a little bit more for the products I want. I have more money than time, so I’m not a huge comparison shopper. Is Grove Right for You? Now that you’ve read my entire Grove Collaborative review, what do you think? Is this the online store for you? If my honest Grove Collaborative review hasn’t sold you on a VIP subscription yet, why not try it out for yourself. Right now, Grove is offering a sweet deal for new customers who spend $20 or more. Not to mention a FREE VIP trial membership! You can even choose one of Mrs. Meyer’s spring scents: mint, peony, or lilac. I recently switched my dish soap from the apple cider scent to peony. It’s subtle and light, perfect for spring! Have you already fallen in love with Grove? Don’t worry, they have a free gift for you too! Use my link and get some walnut scrubber sponges automatically added to your next order! Coming in just around 3,000 words, my Grove Collaborative review is one of the most comprehensive reviews on my blog! I do truly love them as a company, and I hope you’ll give them a try. If you’re already a Grove customer, I’d love to hear your thoughts!